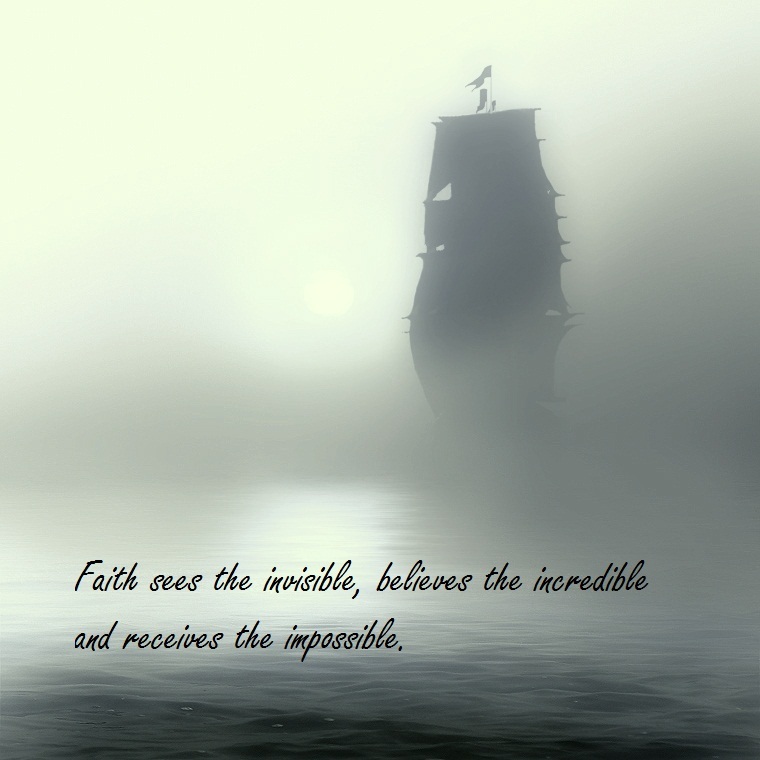 Apostolic Titbits: Take Hold of Unbelievable Things By Faith! Take Hold of Unbelievable Things By Faith! I hope the following story will inspire you to look at the invisible, reach for the impossible and take hold of the unbelievable, I have been doing it and I know that God is pleased with it. I hope you will do it for the GLORY OF GOD too! Do you see at the invisible vision of reaching the destination that God has for you ahead through your spiritual eyes of faith like George Mueller, or like the captain of that ship are seeing the natural circumstances that are usually before you and say like everyone, "It is impossible." It was impossible for Meuller to reach his destination in the nautral, but he did not prophecy his impossiblities and make it a reality in the natural world. Instead he reached for the impossible target through a prayer to God with whom all things are possible. When he was praying to God the most simple prayer with a child like trust, actually he was taking hold of the unbelievable thing to come to pass in the reality of this natural world. God will always respond to his daring sons and daughters who will take hold of God with a unflinching faith and stay calmly in the assurance like a little child that our Heaveny Daddy has never failed and will not fail this time too. Spirit is the real and eternal reality for a spiritual person, where as the matter is the real and the permanent reality for a fleshly soulish person. May we never cease to pray to our Heavenly Father with faith, so that all our impossibilities be made possible for the GLORY OF GOD! God will move over a million people just to touch that one person who is praying in faith, so why not be that one yourself.